Mid last week after thinking to myself I survived not getting ill after everyone in the house catching something. Well good job me because I seem to have jinxed myself and woke up the next morning with every possible thing wrong with me. I had a blocked nose, my head was spinning, I had a temperature, a cough and so on, I'm sure you get the picture. Being sick really annoys me because I can do nothing as I always feel weak or sleepy when I'm ill. So because of this lovely virus that has decided to take over my body I haven't done much in real life or on this blog. I have just been in bed taking medicines for everything and watching Netflix. I decided to start watching Gossip Girl and oh my goodness I am obsessed it is so good! If you have the time to watch 6 seasons of a show, make it Gossip Girl! So because I was sick and not feeling myself when it came to blogging I just had no inspiration about what to write. I had drafts ready to be posted but because I wasn't happy with them I didn't want to post them. I think I sat on front of my laptop for an hour one day trying to write a post and I honestly couldn't write a sentence. That was quite annoying though because I had never not been able to write about something but it was like any inspiration I had just decided to leave my brain. So on Sunday as I sat in bed drinking a cup of tea with candles lighting I decided to grab a pen and my notebooks and write down as many ideas as I could think of. I managed to fill a page and a half with ideas (let me know if you would like me to share some) which made me feel like I had accomplished something as I had ideas about what to write about again. While having so much time on my hands it also got me thinking, when I started my blog in Summer, I could write a blog post (may not have been a very good one but thats not my point at the moment) at any time of the day and it didn't matter if it was dead quiet around me or noisy as hell. Recently though I can only write at night time. Most of the posts you read on this blog have been wrote at the ridiculous time of 2am or maybe even later, and even though I have earphones in with music on in the background the darkness and silence seems to just allow me to write. It's not the best for your sleeping routine though! Sorry for this weirdly mixed ramble. Hope you are all having a good week so far! Do you find it easier to write a blog post during the day or night? I hope that you feel better soon <3 I'm so happy to find another GG lover! I must admit I have watched the series on Netflix a few times. 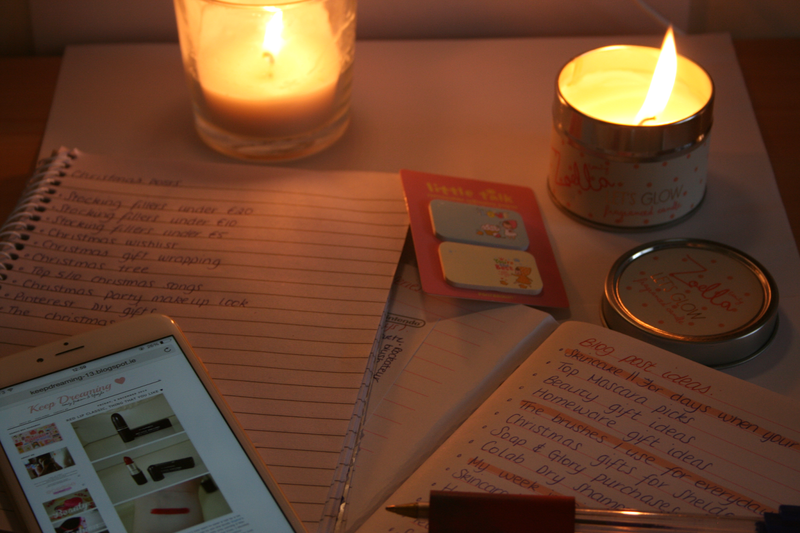 For me, I usually write my blog posts at night, just because it's a way for me to kind of wind down my day! I know exactly how you feel, I'm very much in the same position myself! I tend to use ill days to catch up on non-strenuous work like blogging and uni reading - I might as well make the most of being in bed all day!